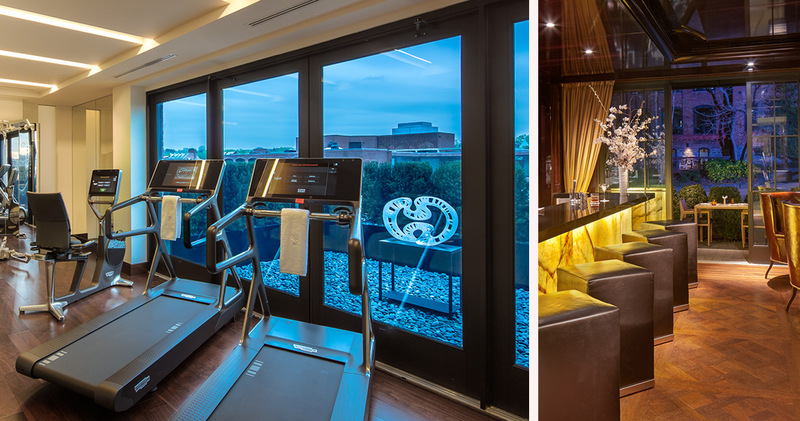 Located in Georgetown, the Rosewood hotel is close to attractions like Rock Creek Park and the Kennedy Center. 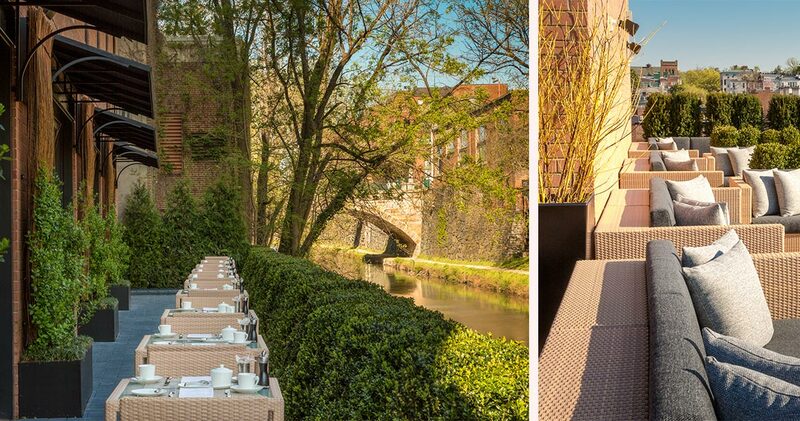 This sophisticated hotel features many unique touches, including Austrian paneling and reclaimed parquet floors sourced from a European chateau. 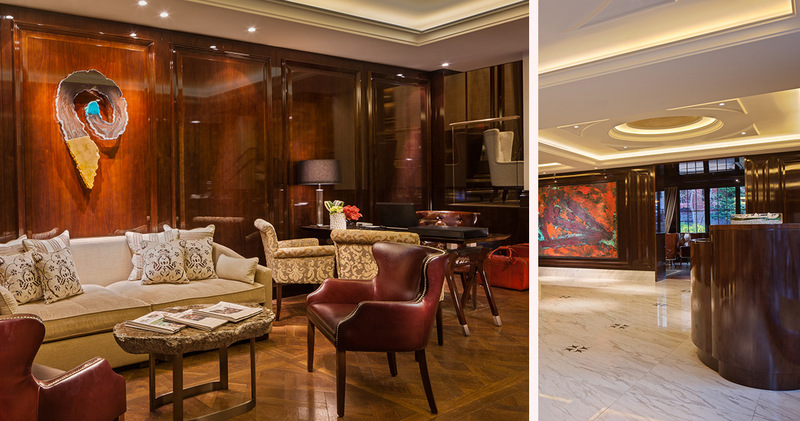 With a two-story onyx fireplace and Edvins Staurtmanis abstract paintings, the Rosewood Washington D.C.’s Living Room is a sleek, elegant space where guests can unwind. 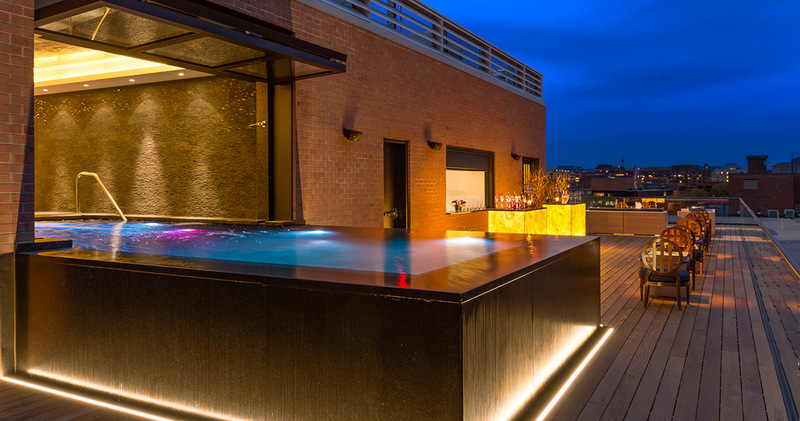 With views of the city’s iconic landmarks, the hotel’s open rooftop features quartz and stone walls and a relaxing infinity pool. 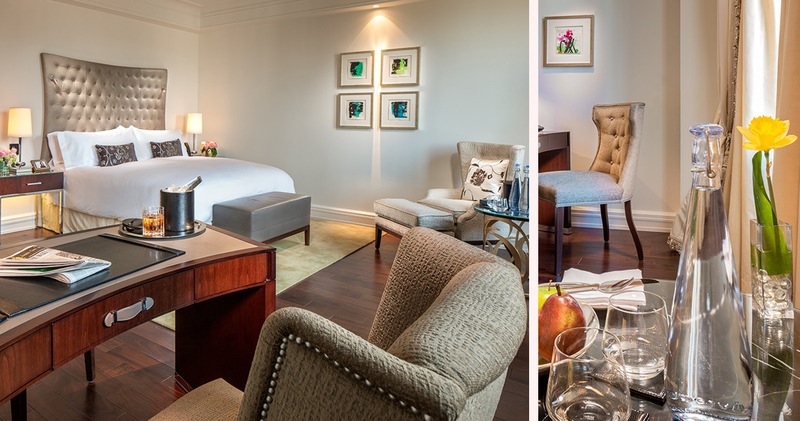 The guestrooms at the Rosewood are airy and tranquil, with soothing colors and views of Georgetown or the C & O Canal. The plush, designer beds feature Patresi linen and a leather tufted headboard. There are also bedside touch panel screens managed by the central computer system, and complimentary refreshment stations stocked with a variety of gourmet teas and coffees, along with an Illy espresso machine. 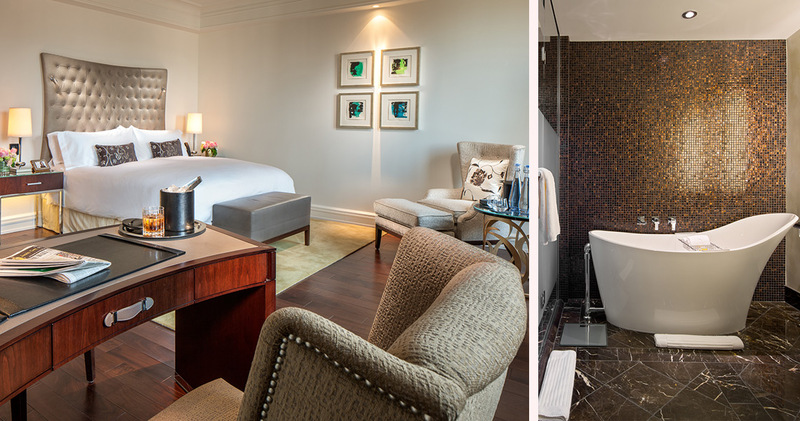 The luxurious bathrooms feature a glass-enclosed rain shower and soaking bathtub. 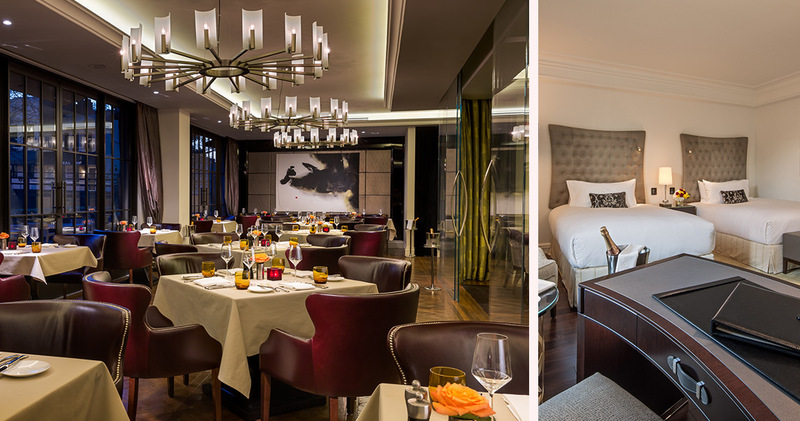 The Grill Room at Rosewood hotel is a refined restaurant with a welcoming atmosphere. The classic grill menu by features European and Italian influences. 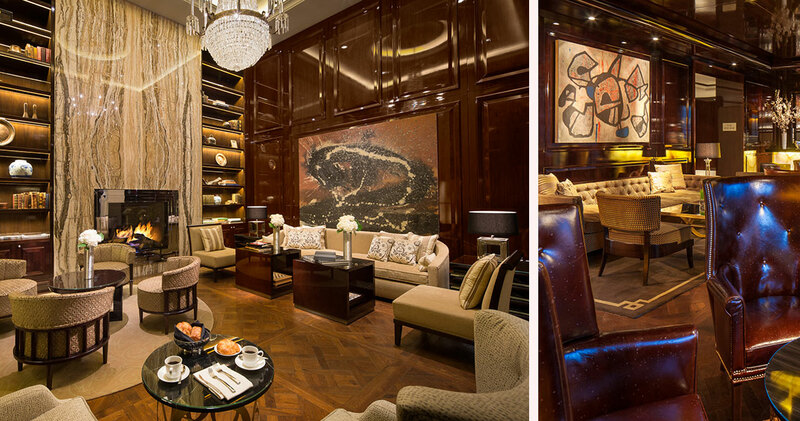 The Rye Bar at the hotel is a tastefully appointed, intimate bar that serves old-fashioned drinks and rare spirits. 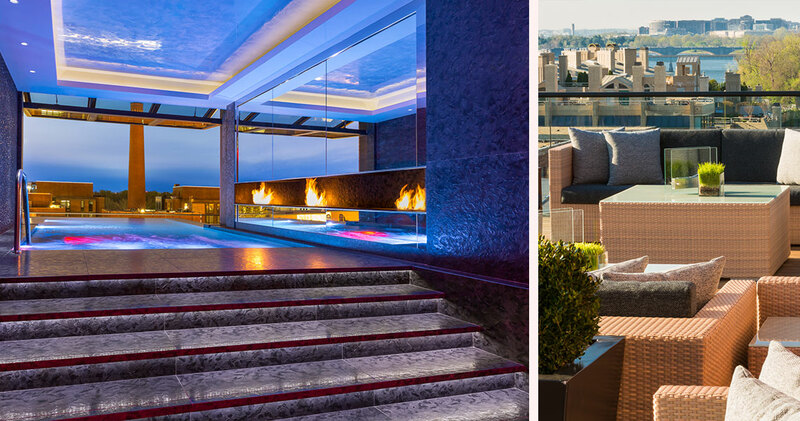 The Rooftop Bar has an infinity pool, warming fireplace and spectacular city views, and serves vintage wines, rare whiskeys and artisan cocktails.